So you’ve decided to visit London! Fantastic idea, it’s an excellent city, with enough activities to keep you busy for however long you choose to stay. Today though, I’m not going to give you advice on what to see in London. Instead, I’m going to share with you my advice for how to get around London. London is a city with an absolutely fantastic public transport network, but the plethora of choice can be a bit overwhelming for the first time visitor. This information on getting around London comes from my experience living in London for 2 years, our subsequent visits as a tourist, and some online research (there are so many options!). 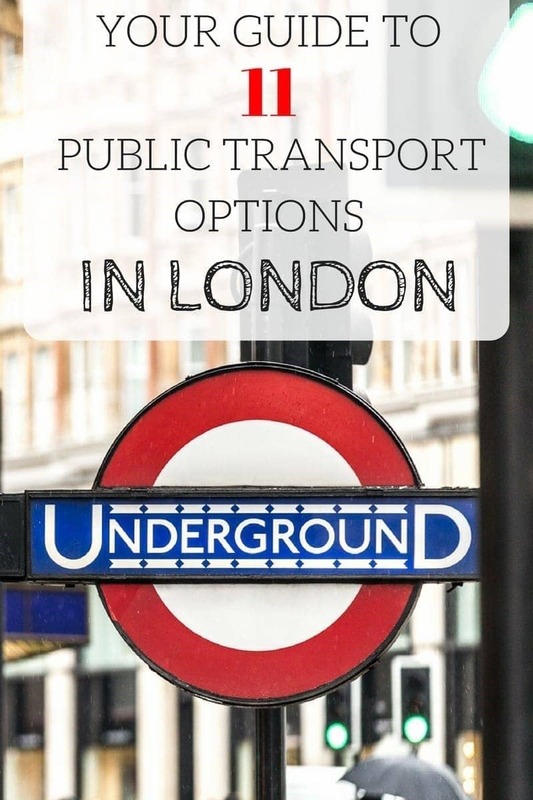 In this guide, I’m going to share with you the various options you have for getting around London, from the tube, to taxis, to the bicycle! Let’s get started. Which is the best way to get around London? London is divided into nine fare zones, with zones 1 & 2 being central London, and then increasing in number the further outside the city you get. Heathrow Airport for example is in Zone 6. The below transport options will cover all the zones. Transport in London is operated is by TfL, which stands for “Transport for London”. TfL are the government body responsible for all aspects of the transport system in London, from roads to rails and ticketing to maintenance. There are a number of ways to pay for transport inside London, including buying an individual ticket, using a contactless card, using an Oyster card, purchasing a travelcard, or purchasing a visitor Oyster card along with your London Pass. I have written a whole post on the best way to pay for transport in London, which you can read, as a summary though, currently in most cases if you have a contactless card that works in the UK then this is the best way to go, followed by the Oyster card. The London Underground, or “Tube” as its nicknamed, is the oldest underground metro network in the world, with parts operating since 1863. Today, the London Underground carries over a billion passengers a year, across 270 stations and 250 miles of track. Interestingly, less than 50% of the track is actually underground, despite the name. 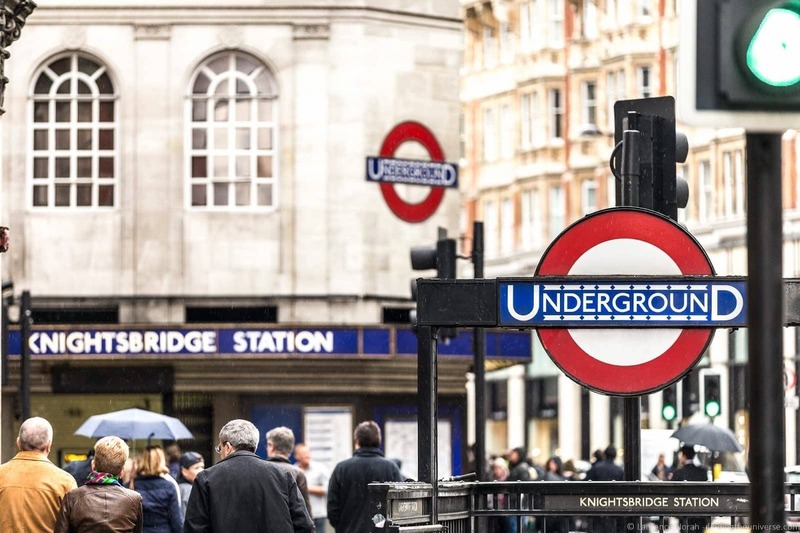 In the majority of London, you will usually find that there is an underground stop within easy walking distance, and a train arriving within 10 minutes or less. Because the underground doesn’t have to worry about traffic and streets, it is one of the most efficient ways to get around, and usually the best choice. For the most part, services operate from 5am through to midnight, and as of August 2016, there will be a 24 hour service offered on some lines as well. You can check times and plan your journey here. Tube stations are easily recognisable with the distinctive London Underground logo, a red circle with the text “Underground” featured in a blue box. The Underground operates in fare zones 1 – 6, which cover London in expanding concentric circles, with zone 1 in the centre and zone 6 at the outside. Generally, the more zones you cross on your journey, the more expensive it will be. Most tube stations have a barrier for entry and exit, and you can purchase tickets from machines or ticket offices at the station. As a tip, if you’re a visitor to London, try to avoid the Underground during rush hour on weekdays as it gets very crowded with commuters. As a rule, this is between 7:30am and 9:30am in the morning, and 5:00pm and 7:00pm in the evening from Monday through Friday. Also, the tube is the most cost effective way to get from Heathrow Airport to central London, with a direct link from all the Heathrow terminals to the centre of London. See more on getting to central London from London’s airports here. The Overground is similar to the Underground, except it’s above ground. I know – a lot of the Underground is also above ground. That’s just how it is. The Overground is a lot newer than the Underground though, created in 2007, and helps to fill in a number of coverage gaps that the Underground has. In terms of pricing, the Overground has the same fare pricing as Underground, and follows the same zone-based rules. In most cases, you also don’t need to touch in and out if you’re using Oyster or contactless payment when switching from Overground to Underground services as they fall inside the same fare zone, although there are some stations where this is required. The Overground logo is very similar to the Underground logo, except the circle is orange, and of course the title is different. Oh, London. So many transport options, and we’re only on number three! The Docklands Light Railway, or DLR as most people call it, is an automated rail system that specifically covers the docklands area of London, which is the area directly east and south east of central London. The main difference between this train system and the those above is that the DLR is fully automated, which means no drivers. The DLR links London City Airport to the rest of the tube network, and you will likely find yourself using it if you are taking trips around east and south east London. For instance it is the best way to get to the ExCeL, which hosts a number of large trade shows and events. In terms of fares, the DLR is the same as the Overground and Underground, part of the overall London fare zone, and in fact some tube stations also contain DLR stations. If you’re using an Oyster or contactless payment you don’t need to touch in and out when switching from tube to DLR, but you should be aware that many DLR stations do not have barriers, so you mustn’t forget to touch in and out (or have a valid ticket) at the start and end of your journey in order to ensure you pay the correct fare. Yes, I’ve already discussed three rail-like services, but, just in case that wasn’t enough, London also has actual railways too, both suburban rail that links central London to its suburbs, and fast trains that link London to the rest of the country (and the world). There are also direct rail links to London’s three major airports, namely Heathrow, Gatwick and Stanstead. See more on getting to and from London’s airports here. In the majority of cases, trains in and out of London are separate from the Transport for London system, so for example you can’t use your Oyster card on most national rail services, and would have to buy a separate fare. There are some exceptions, with all suburban trains in zones 1-9 for example, and to select destinations, covered. Trains to Gatwick, including the Gatwick Express, as well as trains to Heathrow, including TfL Rail and Heathrow Express, are also covered by the Oyster system – you can see more about what’s covered here. If you asked someone what the most used form of public transport in London was, they might guess Underground. And, with over a billion users a year, that’s not a bad guess. It would be wrong though, because the number of journeys taken on London buses is over two billion a year. This is likely because there are just so many bus routes in London, serving a huge area – you can basically get anywhere in London by bus. Bus fares are also cheaper, at a fixed price of £1.50 for a single journey for Oyster users, regardless of distance. You can also take advantage of the “hopper” fare with Oyster and contactless cards, whereby every bus journey that you take within the first hour of touching in is included in the £1.50 price. So you can change buses and not have to pay any more – although you must still touch in to the new bus in order to have a valid ticket. To use the public buses in London, all you have to do is touch your Oyster or contactless card on the big yellow card reader when you board the bus – there’s no need to do it when you get off the bus as fares are fixed. There are also many bus services that operate round the clock, meaning you can still get home after a night out on public transport in many instances. Buses are generally a little slower than rail services because they have to contend with traffic, which in London is pretty terrible most of the time. However, an advantage is that normally there are no steps involved and no lengthy walks around the Underground system. In south London, and specifically from Wimbledon, through to Croydon and Beckenham, there’s a tram service, known as London Tramlink. The tram has four lines and 17 miles of track, so this definitely isn’t a huge network, but it’s a well used one in the region. The tram works the same as the bus in terms of payment – it’s a fixed fee per journey, and you just have to touch-in with your Oyster card or contactless card when you board to validate your ticket. You do not need to touch out when you disembark. Trams are also a part of the Hopper fare system. Now, for something a little bit different. Did you know that London has a cable car service? It’s the only urban cable car in the UK, and it’s there to get you across the River Thames, from Greenwich to the Royal Victoria Dock. As well as being a handy way to get to the ExCeL exhibition centre and the O2 Arena from the south side of the river, it also offers panoramic views of this part of the city as you cross. The Air Line is part of the TfL system, so you can pay with your Oyster card or contactless card. There are only two stations, one at each end, so it’s also one of the easiest modes of public transport to navigate in London! London has a big old river running through it, so it makes sense that this waterway is also used as a public transport system. And so it is, with Thames Clippers operating a service under license from TfL. There are four “routes”, starting all the way to the west of the city in Putney, and going as far as Woolwich in the east. Essentially this gets you from one end of London to the other. On board the Thames Clipper in London. It’s a fun, scenic way to travel and tends to be a little less busy that many of the other routes. It is used by commuters though, so rush hours can be a little busier. As with other TfL services, the easiest way to pay is by Contactless card or by Oyster card, touching in and out as you board and disembark. Alternatively you can buy tickets online and print them out, or you can buy tickets in person at the pier. The last option is the most expensive – contactless, Oyster and online ticket purchases are the most cost-effective. Note that Thames Clipper is a little more expensive than services like the tube or buses, but the point to point service and relatively fast speed, plus the views of London from the river, can make it worth it. London definitely has some iconic modes of transport, from the famous red bus through to the tube. But perhaps most famous of all is the black cab. With a history dating back to 1662, London’s Hackney Carriages have been carrying people around the city for over 350 years, with drivers having to learn the infamous “Knowledge” – basically a detailed map of London meaning they can navigate the city efficiently, without relying on maps or technology. Taking a black cab in London is definitely an experience. All you have to do is flag one down by waving at them (the taxi light will be illuminated if it is available), and the driver will stop to pick you up. Black taxis are certainly more expensive than any of the other forms of transport regulated by TfL, but for the convenience of getting from one part of the city to another, they sometimes can’t be beaten, and if you’re travelling in a group they can work out to be fairly cost effective. Note that taxis don’t accept Oyster cards, so fares need to be paid by cash or credit card. Fares are paid on completion of the journey, and are set based on distance and time using the meter in the cab. In 2010 London rolled out a new public transport option – the bicycle! There are public cycle points all around the city, and with the increase in cycle lanes, these are becoming a popular way to take short trips. Hiring a bicycle is relatively easy – it costs £2 for a day of access to the system, after which every ride of 30 minutes or less is free, with each additional 30 minute segment costing £2. So you could actually ride the city for just £2, just ensuring you check in each bike within 30 minutes. To use the cycle hire system you just need a credit or debit card. Because of the need to guard against theft, the system doesn’t accept Oyster cards. You pay your £2 activation fee by card, and then you can access bicycles at points all across the city – there are literally hundreds of them to choose from. Find out more about the London cycle system here. Not exactly a public transport option, but don’t discount walking as a way to get around London! Many visitors don’t realise that many parts of London are very pedestrian friendly, and in fact in central London you can get to most of the attractions just by walking. As a rule of thumb, if somewhere is less than two tube stops away, it’s likely going to be quicker to walk (although worth checking on a map to be sure there’s not an inconvenient river in the way!). 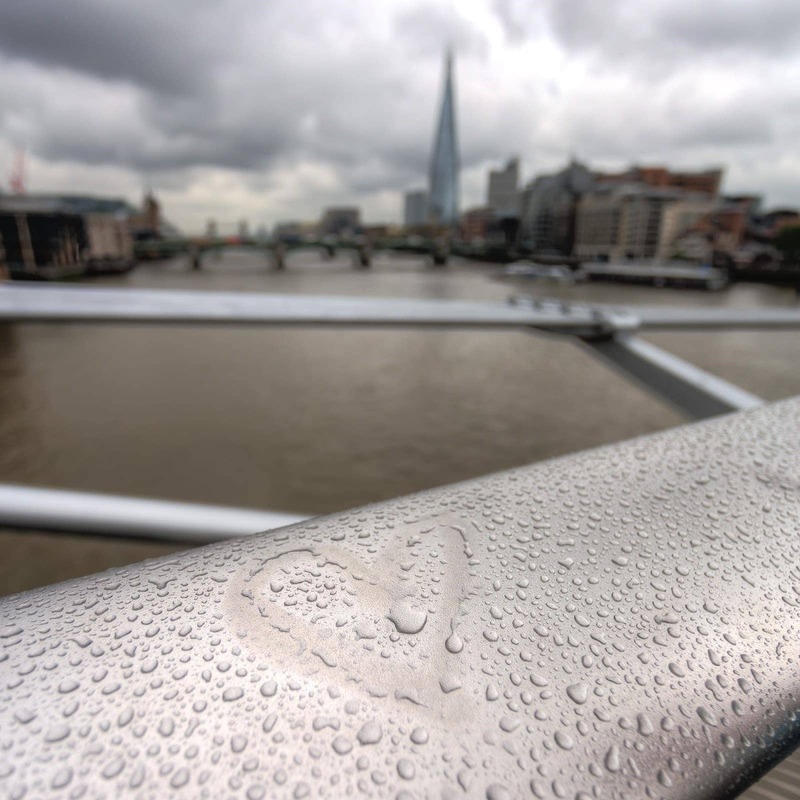 Walking is by far the cheapest way to travel around London, and a personal favourite of ours. Given the range of public transport options in London, the accessibility situation is definitely varied. Buses for example are pretty good, with every route serviced by low-floor vehicles and offering a wheelchair space. The tube on the other hand isn’t so great for step-free access, with only around a quarter of stations offering step free access. An aging network, built well before accessibility was something to consider, has not helped efforts to improve the situation, although certainly efforts are being made. 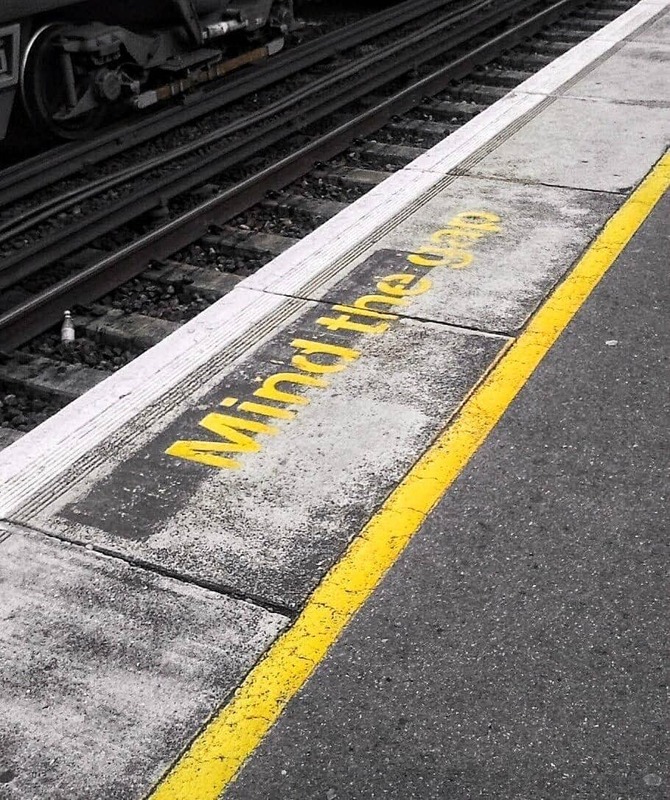 Some stations do have platform to street step free access, but you will need to plan your tube journey carefully. For a full map and information to help you plan your trip around your needs, take a look at the official accessibility section of the TfL website. There’s no really easy way to answer this question. If you’re getting around the majority of central London, the Underground will likely be the most convenient. It’s fast, regular, and doesn’t have to contend with traffic. For parts of London that aren’t served by the Underground, DLR or Overground services, then the bus is the next most convenient option. There are services all over the city, often running through the night. If you don’t mind a bit of exercising, then either cycling or walking are both great ways to get around. If you want to try something a bit different, then the Emirates Air Line or the Thames Clippers will provide that. 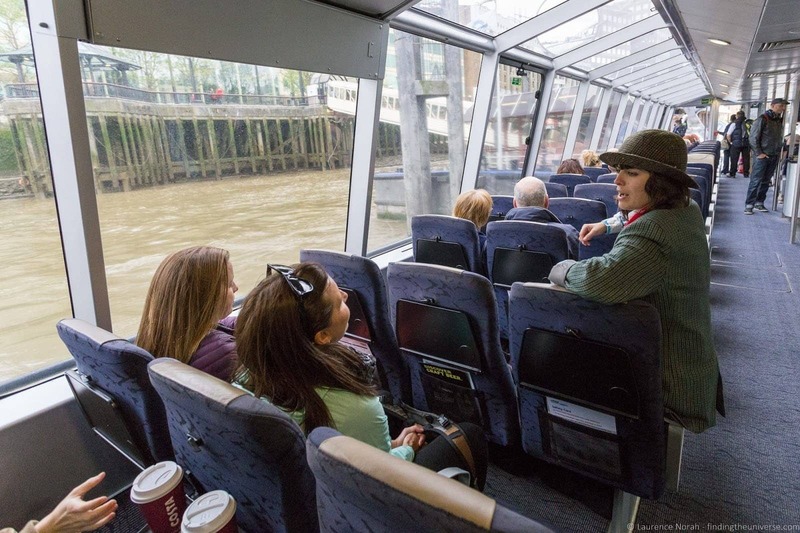 The former is certainly excellent for one specific route, and the latter can be a good way to get across London, with water views to boot – although in my mind it’s more of a one-off experience than something to regularly use as a visitor. We have plenty of further reading to help you plan your trip to London, both content we’ve created based on our experiences, and third party content we think you’ll find useful. 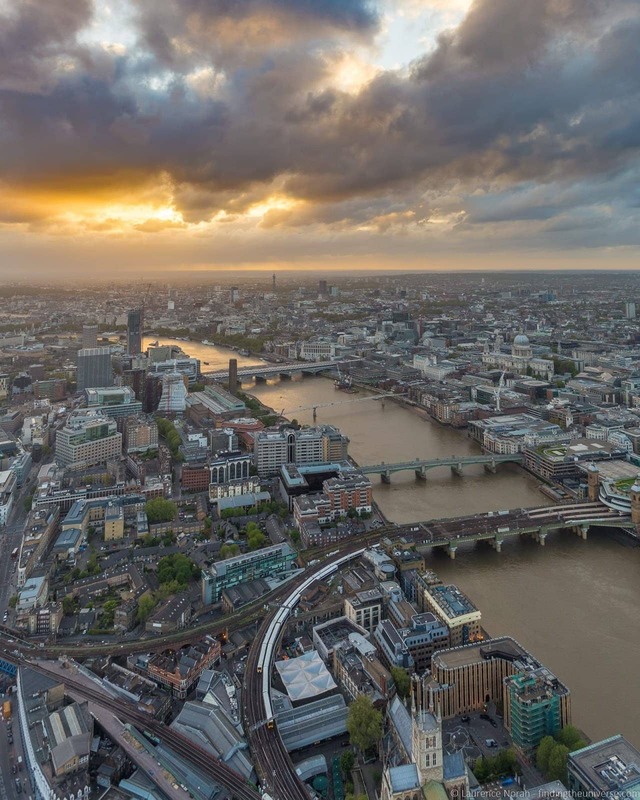 If you’re coming into London by air, check out our detailed guide to getting into central London from the airport, which covers all six of London’s airports. 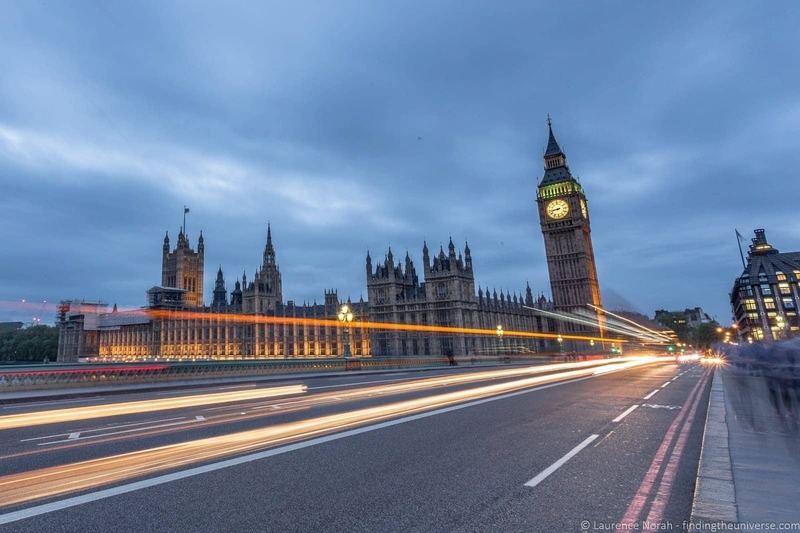 Jess’s detailed guide to the London pass, which will help you decide if this is a good way for you to save money on your London sight-seeing. 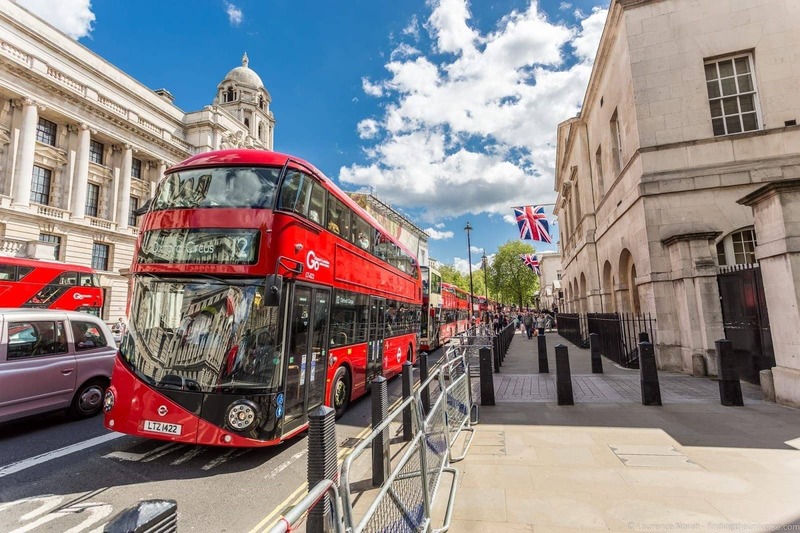 The London Pass has a package option to include a Oyster Card and currently also includes Hop-on, Hop-off bus passes, which can be a great transport option. Jess’s guide to 1-day walking tour of the highlights of London. And that’s it for out guide to public transport options in London! What’s your favourite way to get around in London? Any tips to share? Pop them in our comments below! Thanks for the article. Funny, well written and complete! Just got in London last night and now I feel ready to discover the city. Our pleasure Pedro – have a great time in London! A minor edit is needed, you list that bicycles cost “30 minutes” for each “30 minutes” past the first 30 minutes. Wonderful insight on how to get around in London. Thanks for sharing such a nice article on London transport system. It will be very useful to me as I am visiting London for the first time very shortly. My pleasure Anil! 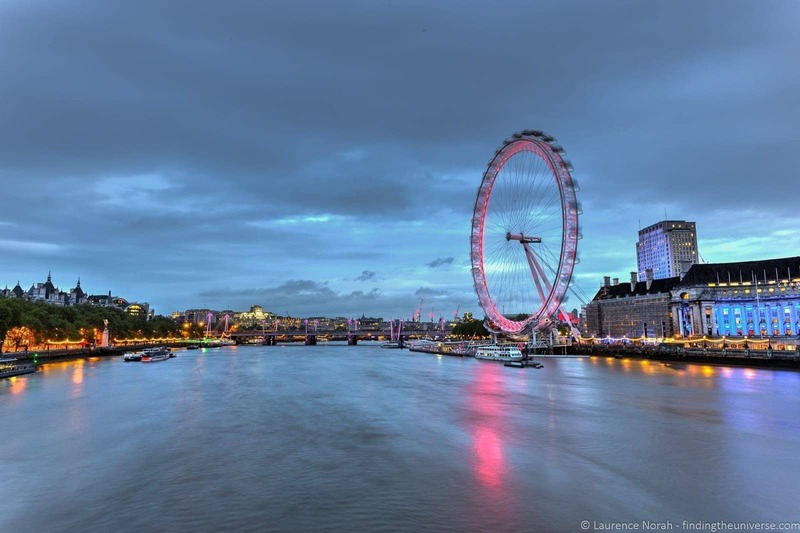 We have lots more content on the site about London – hopefully you found it. Have a great trip to London!